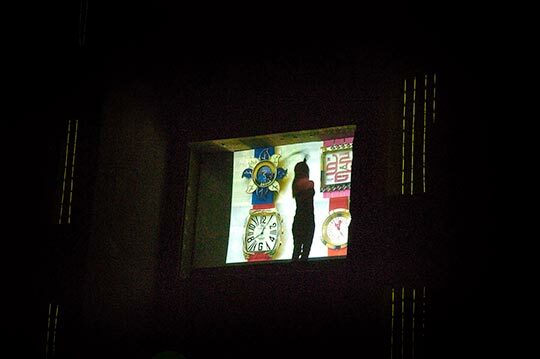 Part of the Post War Art and Culture Festival organised by Artrole. The overall structure of the event was a collaboration with Anne Bean, Chris Gladwin and myself Richard Wilson from an initial suggestion by Adalet Garmiany. Large percussive sounds from Richard Wilson’s huge spring gong tank with accompanying welding light, Chris Gladwin’s sound sculptings Anne Beans voice and corriographed sound/light imagery and Miyako Narita’s projections of the building’s scars all augmented the building’s presence as the central component. 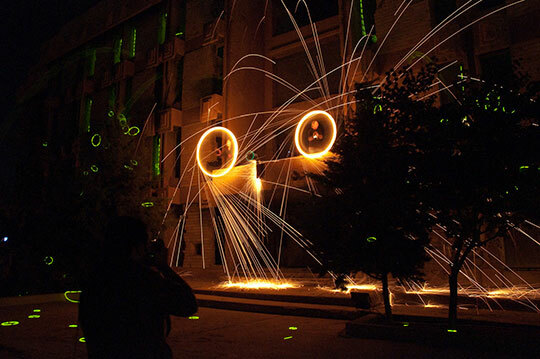 The event ended with the students making circles of light from the bars and throwing them into the audience. 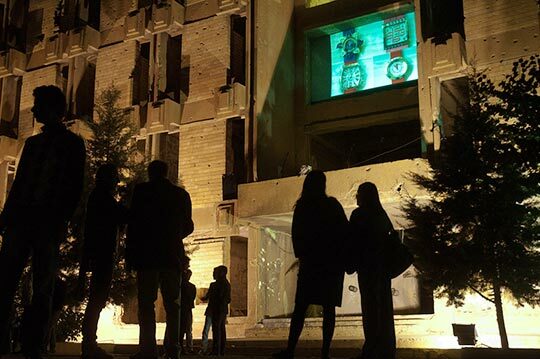 The shell of a building that dominates the entrance to the Amna Suraka complex was illuminated with streaks of light, reminiscent of the bars of the cells once housed there, as the voice of an elderly woman broke the night. 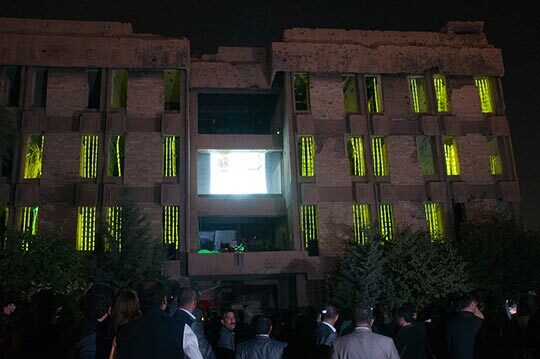 In the performance that marked the finale of the momentous first day of the First Annual Post War Arts Festival in Sulaymaniyah, the mother of the Festival’s organizer, British Kurdish artist Adalet Garmiany, revealed that she and Adalet had lived as refugees in this shattered building during the mid 1990s.